Looking for a durable, high quality Mickey Waffle Maker? Keep reading! Who said that making waffles can’t be fun? No matter how much you love your waffles, there’s a chance you’ll love them even more if you’re a fan of Mickey Mouse. You might wonder why. If you love Mickey Mouse and you love waffles, the Mickey Mouse waffle maker that will make you want to make waffles even when you don’t feel like eating them! Excited now? Get comfortable and enjoy the rest of the post where you’ll find more about this amazing waffle maker, and even a few others as a special addition to this one. You read it right. Not only you get a classic Mickey Waffle Maker, but it actually bakes Mickey Mouse shaped waffles. It might sound too good to be true, but just have a look at that cute photo of a Mickey Mouse waffle. This is a beautiful, durable red, black, and white Mickey Mouse appliance. Plug it in and it’s ready to go! Because of the nonstick Mickey grids, there’s no seasoning or prep required. This Mickey Mouse waffle maker can make one 6″ Mickey Mouse character waffle which is a pretty decent dimension. Along with the special Mickey Mouse waffle plate, there’s also illuminated Mickey power light which makes this waffle maker way cooler. It makes the legendary Mickey Mouse waffles even more legendary, charming, and cute! At the same time, the indicator lets you know when the waffle maker is plugged in and ready for use. Even though the plates are shaped differently than your traditional waffle maker, they’re still pretty easy to clean thanks to the non-stick coating pad added to the plates. Therefore, you won’t have to clean the plates during the baking process, just give it a quick clean after you’ve finished serving the breakfast for the kids. Most of the time plates won’t even require water to be cleaned, you only need a dry cloth. However, you’ll always end up with a perfectly shaped Mickey Mouse waffle every single time. For even better Mickey Mouse waffles, this waffle maker comes with a recipe idea which features buttermilk waffles that are as tasteful and delicious as they look. What we liked the most about this waffle maker is the extended handle that makes operating this appliance simple and easy without a single worry of touching parts that get hot during use. The waffle maker itself is very compact and it stores easily. You could even take it on a trip with you. However, you shouldn’t underestimate its power. It’s equipped with 800W of power and it can reach a very high temperature, so be careful! This waffle maker has been produced directly by Disney, and we’re glad that they stand behind their products. Once you purchase a Disney Mickey Mouse waffle maker, you’ll receive a 1-year warranty that will have you covered in any case of failure or unsatisfaction. Even though the design and color of this waffle maker are eye-catchy, it still goes well with any kitchen interior and design. We’ve looked at a few different retailers of the Disney Mickey Mouse waffle maker and we must admit that we’re impressed by the customer ratings. Oftentimes, character waffle makers are just novelty items that don’t really perform well. Not in this case, though. 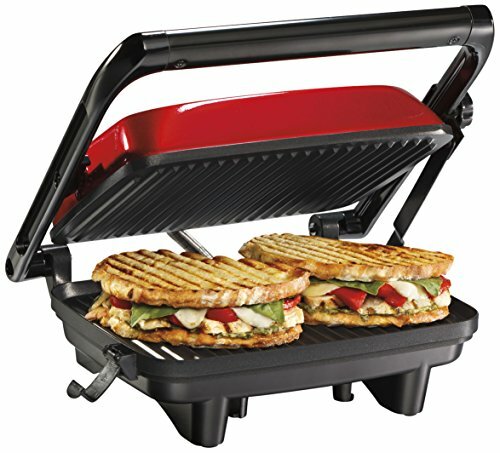 This is a high quality appliance! One thing that helped to boost the customer ranking is that this Mickey Mouse isn’t a knockoff, it’s an official Disney product. But also, the quality of the product in comparison to the price it costs is really great. What we figured out by paying attention to the statistics is that the customer rating for Mickey Mouse waffle maker is between 4.3 – 4.5 out of 5. It’s really great to see verified customer ratings which are satisfied with the product and the value it offers for the price it costs. There’s definitely no reason to leave your kids without Mickey Mouse waffles in the morning, especially after such strong customer ranking. This mini Mickey Mouse waffle maker offers a lot of advantages and the price is really affordable. Even though there are some cons, they’re not major and they are all about personal preference and a few additional features that might have been added. Other than that, this is a real solid waffle maker that has a well-deserved customer ranking. When we thought about the words that describe this waffle maker the best, we came up with a decision to describe it as a waffle maker that is a novelty yet performs flawlessly. And of course, there’s no kid on the Earth that wouldn’t’ love to have Mickey Mouse waffles waiting for them in the morning. In addition to this beautiful Mickey Mouse waffle maker, Disney has released a few other kitchen appliances which are as good as this waffle maker and make a great combination. This Mickey Mouse toaster is originally designed and manufactured by Disney. It’s one of the first additions you could add along with your Mickey Mouse waffle maker. It’s a 2 slice toaster which doesn’t only look beautiful on the outside, but it also makes a Mickey character imprint on the actual toast! A browning control adjusting is available with a hinged crumb tray that makes this Mickey Mouse toaster as good as any other toaster you would get on a market, only this toaster adds a very special addition to your toast. If you’re going Mickey Mouse, go Mickey Mouse all the way with this Mickey Mouse slow cooker. It’s another Disney product which is manufactured and crafted to perfection. It comes with a 5-quart oval insert and a 20-ounce dipper which in combination are perfect for any type of meal. Even a whole chicken can fit. There are 3 speeds including low, high, and warm function. And what we really liked was how Disney paid attention to detail by making the Mickey handles at top of the glass lids. This is a Mickey shaped silicone ring that you can use to make Mickey Mouse fried eggs or mini Micky Mouse pancakes! Just place it right on your hot pan and pour your eggs or batter in. Enjoy Mickey shaped pancakes every weekend. Better yet, buy 2-3 of them and crank out Mickey Mouse pancakes nonstop. Kids have loved Mickey for decades now! You can be sure that your children are going to love seeing these appliances in your kitchen. Not only are they fun to look at, but they’re all high quality kitchen appliances. Do you own any of them? Let me know your thoughts!